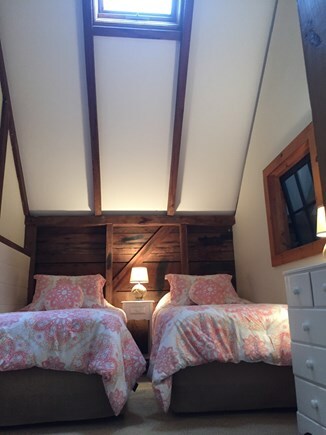 The Barn at Nauset Farm - Newly Renovated & Charming! Cozy and bright Living Room. Bright and airy foyer. 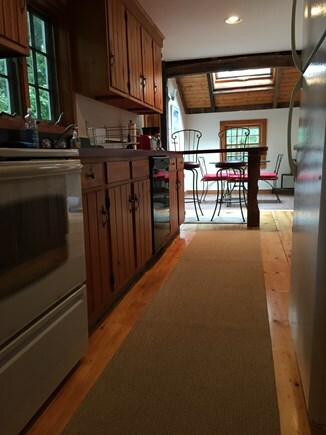 Hardwood floors refinished throughout. Fully applianced kitchen with dishwasher. Bright dining area. 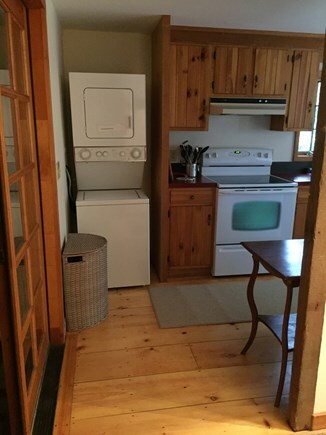 Washer and dryer conveniently located on 1st Floor. Queen Master Bedroom with Daybed on 2nd Floor. Bedroom with two twin beds on 2nd Floor. 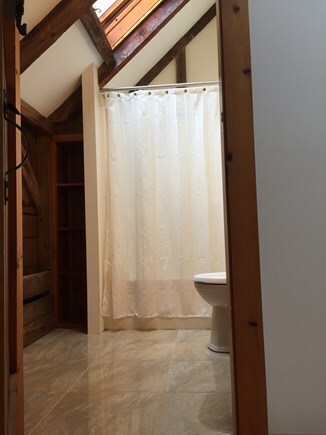 Full bath on 2nd Floor with new tile floor. 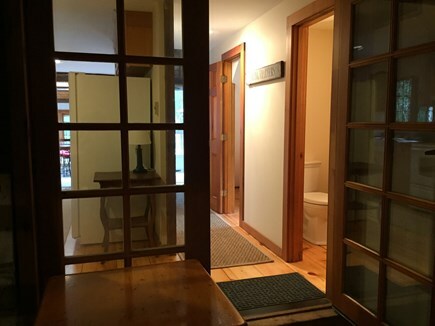 View through barn bonus room doors. 1st floor 1/2 bath off hall. 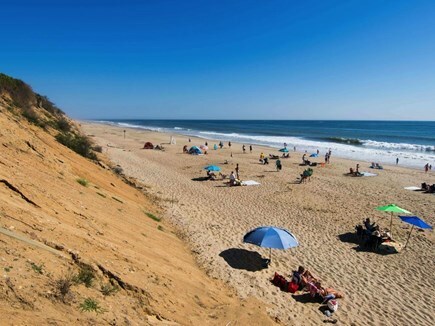 Nauset Light Beach <1 mile away. Bayside beaches 2 miles away. 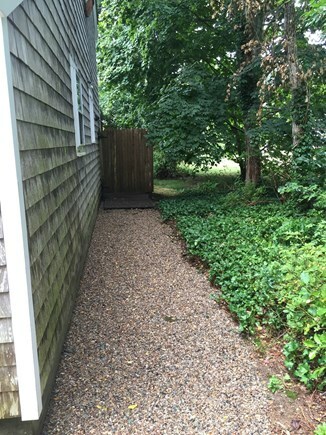 Pea-stone path to outdoor shower. 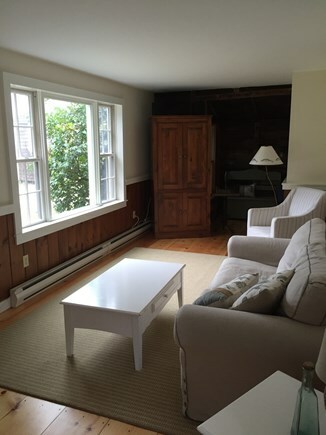 Living room with large picture window. Save $100 per week! 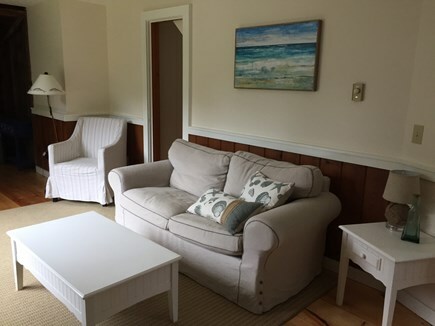 Book your vacation rental with us by the end of April 2019 for savings! 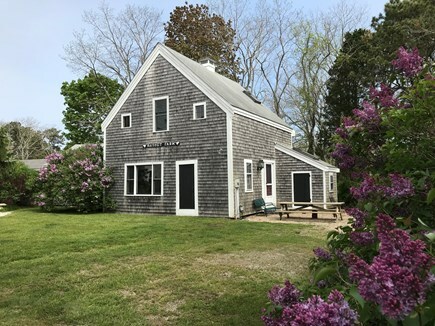 Unique and Airy Beach Home on Historic Property in North Eastham. 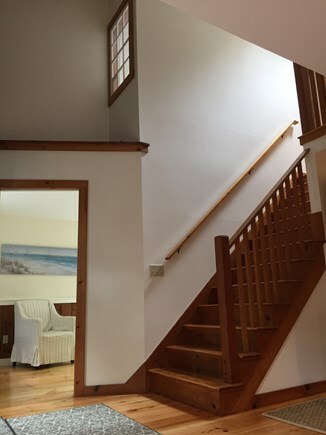 Newly renovated and comfortably furnished beach home less than one mile from Nauset Light Beach and the National Seashore. 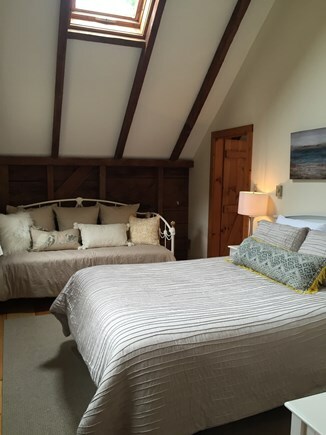 Bright and airy, what was once the barn on an historic property is now a tranquil seaside retreat, perfect for family vacations and romantic getaways. 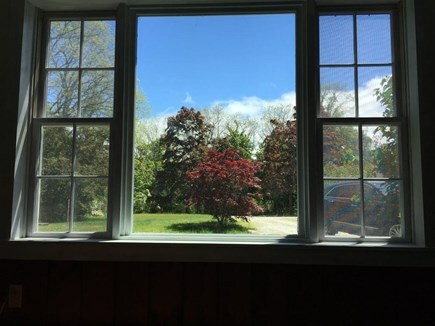 Lovingly transformed and filled with character, it is the perfect place to call home as you explore the beauty of Cape Cod. 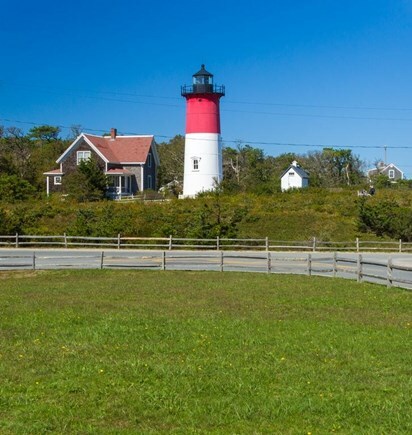 Please note - blankets and pillows are provided, however typical Cape Cod vacation rentals do not provide bed sheets or towels. Guests generally bring their own, but there are companies in the area that offer linen rentals. Please let us know if you need any additional information or have any questions. No Pets and No Smoking allowed on property. Additional pricing info: Discount available for 2 or more consecutive weeks!, State and local taxes of 12.45% will apply.